The Phoenix Film Festival returns to Harkins Scottsdale 101! 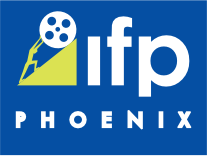 The 2012 Phoenix Film Festival will be held at March 29 to April 5, 2012 at Harkins Scottsdale 101. This will be our ninth year as a partner of Harkins Theatre and we're looking forward to another great year. Keep an eye out for film announcements and other great PFF happenings by visiting us here.